The Mid-Year Book Freak Out Tag was originally created by booktubers Read Like Wildfire and Earl Grey Books. I’m a little late with this tag because as usual, it started showing up first before I remembered to do it. And I kind of dragged my feet when it came to editing it as well. I’ve been reading less compared to last year, but I’ve been picking up some really good reads. I’ve only had a handful of two and one star reads, so regardless of the number of books I end up reading this year, as long as this number is low, I consider it a successful reading year. Covers are linked to Goodreads. 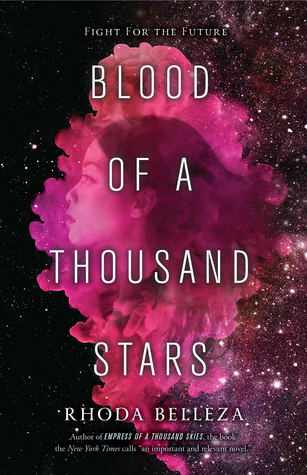 As of the end of June, I’ve read six five-star reads and while this isn’t the biggest number, I’ve had tons of four-star reads that came close. 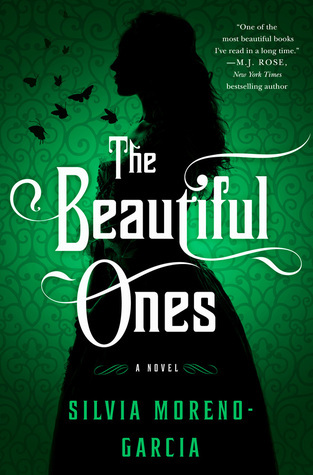 So far in 2018, my favorite read it Silvia Moreno-Garcia’s The Beautiful Ones. I didn’t expect to like this one so much, but it cast a spell on me. I found the story enchanting and the characters hard to forget. 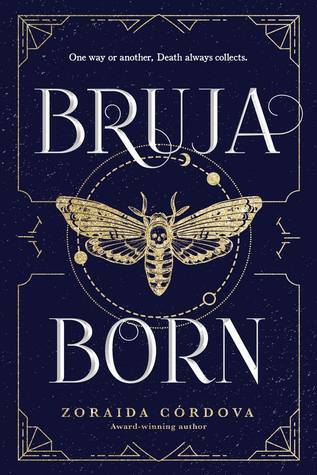 While I liked Zoraida Córdova’s Labyrinth Lost, I loved Bruja Born. Lula was a character I could related too and one I cheered for throughout. The best part about the sequel was its emphasis on the Mortiz’s sister relationships. I loved seeing these three come together despite how different they were, how they learn from their mistakes, and how much they supported one another. I’ve had Emily X.R. Pan’s The Astonishing Color of After for a few months now. I bought it because so many bloggers praised it and I was completely taken by the writing when reading excerpts, but I just hadn’t had time to read it yet. This summer, I will read it…I hope. 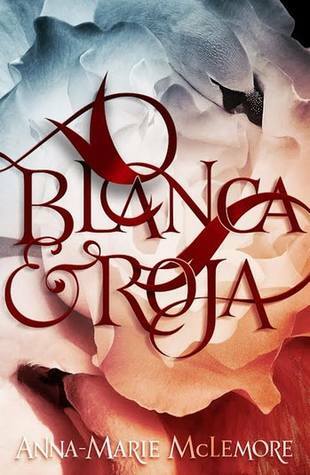 I have an eARC of Anna-Marie McLemore’s Blanca & Roja sitting in my tablet and am so stoked to get to it. I will buy every book this author writes. You can write that in stone. Put it on my grave. I haven’t had too many disappointing reads this year, but I was really looking forward to Kristina Perez’s Sweet Black Waves. The romance was unbearable and the other relationships puzzling. If I hadn’t read an ARC of this one, I probably would have DNFed. 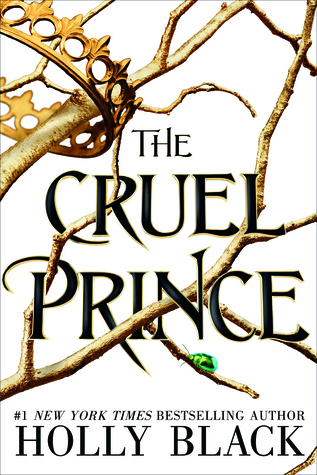 I picked up Holly Black’s The Cruel Prince based on hype alone and was surprised to find that it lived up to said hype. Black can write complicated and multi-layered characters. Jude is one of my favorite protagonist I’ve met so far this year. 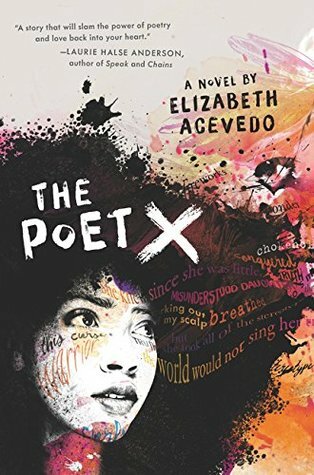 Elizabeth Acevedo blew me away with her poetry in The Poet X. I don’t read a lot of novels in verse, but this one makes me want to pick up more. At the top of my head, I don’t think I have any new bookish crushes, but I do have a lot of friend crushes. In some other world, Dimple from Sandhya Menon’s When Dimple Met Rishi and Janna from S.K. Ali’s Saints and Misfits (I’m cheating with this one because technically I picked it up in July) are my BFFs. Jane from Justina Ireland’s Dread Nation is the most complete and complex character I read this year. I loved her strengths and her weaknesses, and I think both made her character feel more real. 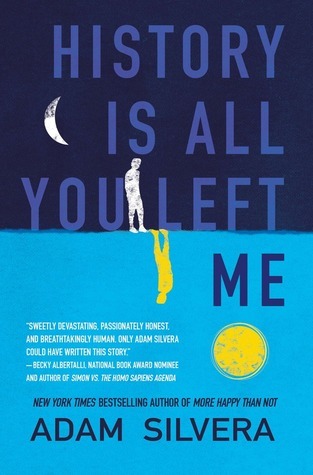 Adam Silvera knows how to make me cry and History Is All You Left Me is no exception. I love that Silvera allows his characters to be flawed, to make terrible mistakes, but still remain the kind you root for. This was on my list last year as a book I needed to read, but hadn’t yet and now that I finally have read it, I am so happy. Sandhya Menon’s When Dimple Met Rishi made me smile from start to finish and I can’t think of the last time a book made me this happy. 12. Favorite Book To Movie Adaptation You Saw This Year? I finally watched Ava DuVernay’s A Wrinkle in Time and I loved it. I thought it was beautifully done and managed to scrub from my brain that horrible adaptation they made years ago. 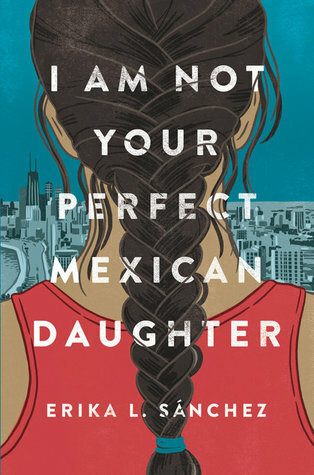 This is always a hard question to answer, but I’m going to go with my review of The Beautiful Ones by Silvia Moreno-Garcia. This book made writing a review easy which doesn’t happen often. Go check it out! 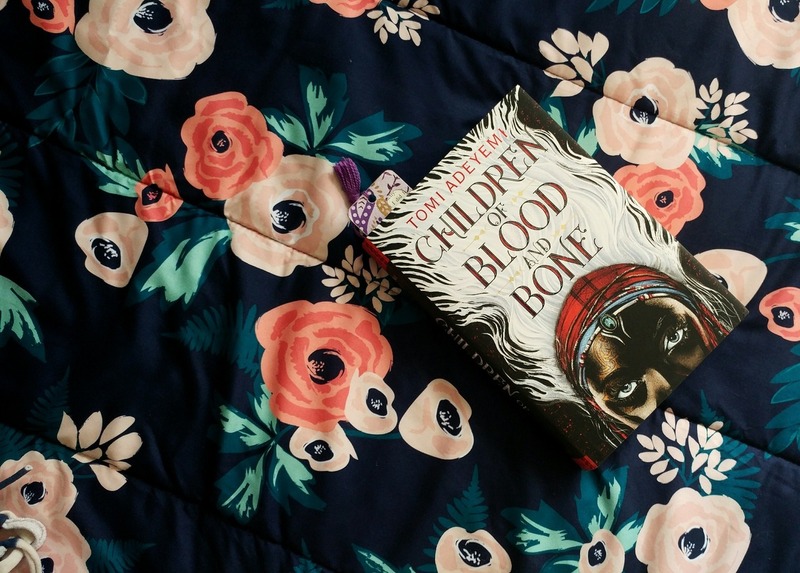 I really like the cover to Tomi Adeyemi’s Children of Blood and Bone. I felt its epicness even before I opened its pages. I made a list of summer TBR books I’d like to get to (you can check out the full list here). These are the ones I’ve owned the longest, so it would be really nice to finally get to them. What’s your favorite book so far in 2018? Tell me your new favorite author. What book are you hoping to get to before the year is out? Leave me a link in the comments to your own Mid-Year Book Freak Out Tag post. I’m glad I wasn’t the only one who did this tag late!! Checking out some of the books you mentioned. I feel like everyone else’s post has been taunting me for the last month. Yay! 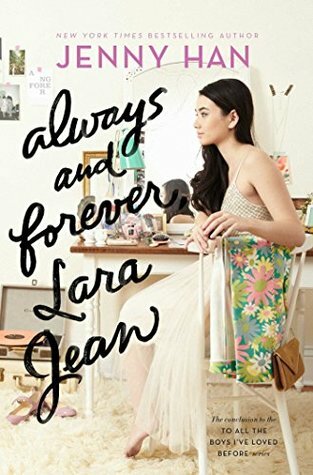 I hesitated for quite a while with the last Lara Jean book. It was bittersweet, and I am still hoping Han wants to revisit that world. WDMR really is a made-me-happy book. I am smiling just thinking about it. The movie is getting closer and closer, so I want to read the final book before it gets here. Yes, WDMR just made me so happy. Thank you so much! If you love witches and sister relationships, the Brooklyn Brujas series is perfect. I can’t wait to be enchanted by Blanca & Roja. I hope you enjoy the rest of The Cruel Prince. I was happily surprised by it. I hope you enjoy all these that are on your TBR! Thank you so very much! I hope when you pick them up, you enjoy them. I know! I think I still have around 10 books still on my summer TBR and there isn’t much time. I hope we both get to pick up The Astonishing Color of After soon. 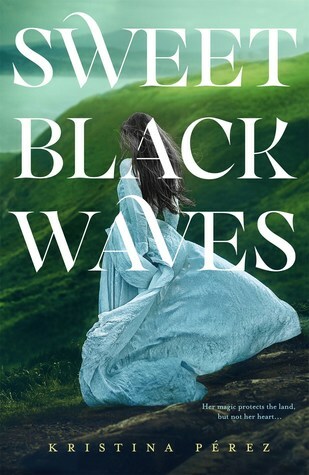 I was looking forward to Sweet Black Waves, but I’ve seen SO many disappointing reviews, I decided to delete it from my TBR. But I’m glad you had so many good reads! It’s one that I wish I hadn’t picked up at all to be honest. It was a chore to get through. Thanks! I hope to read The Astonishing Color of After too! Great answers! I hope we both enjoy it when we do! Thank you. Oh gosh, History Is All You Left Me is definitely an emotional read. I hope to FINALLY read They Both Die at the End soon, but I’m sure that will leave me heartbroken too. I love that you have friend crushes from books. When Dimple Met Rishi was a really cute read! 🙂 I still need to read The Poet X! I need to read They Both Die at the End as well. I need to be in the right headspace though. Yes, I have so many friend crushes. I hope you enjoy The Poet X! I was so pleased with Bruja Born – the sequel was so fantastic! I also just read my first ever Silvera, his debut, and I understand the hype. I totally need to get around to more of his work! I’m so glad you like it too, Lauren! I am so excited for the third book. More Happy Than Not ruined me. I still think about that one. Yes, I feel like the longer I blog, the less likely I am to hand out five stars. Thank you so much! Thank you! Me too. It’s nice seeing where you’re at at the mid-year point. My best read so far this year is Children of Blood and Bone, that book is a masterpiece!! I have yet to read TCP because of the mix reviews haha. 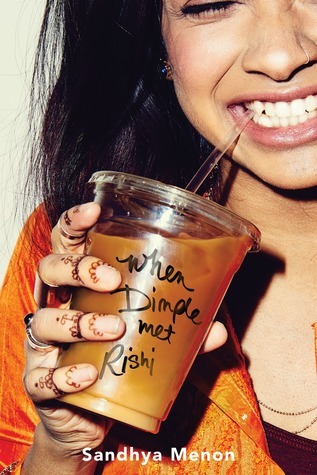 You rave so much about When Dimple Met Rishi it makes me want to read it immediately!!! I love When Dimple Met Rishi so much. It’s one of my bookish happy places. I really like this one. The sound is so comforting and familiar. I wish I could buy it soon!! I’m so curious!! Great picks! ♥️ My favorite this is A Thousand Beginnings and Endings by Ellen Oh. It’s my first anthology and I loved it! That’s so great to hear that you had such a positive experience with your first anthology. There is never a too late with this tag. 😀 I’m glad you’ve been having such a good reading year. Haha, that’s very kind of you to say. Thank you, Annemieke! Sometimes I cry at the wrong books. Years ago, I cried at the end of a book in which a woman leaves a man a tiny pile of dirt outside his door to express that she likes him. I have questions. Because it happens at the end, does that mean you don’t find out what happens next? That might also make me a little emotional. Nope. It’s the very, very end! 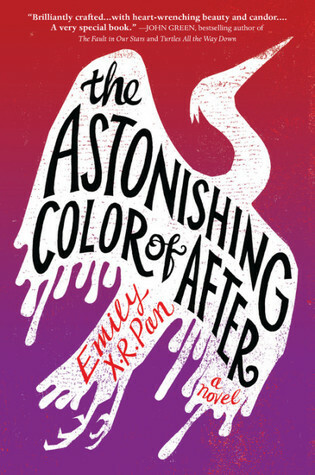 I really want to read The Astonishing Color of After too. I’ve seen so many good things about it. I am so happy that The Cruel Prince lived up to the hype. I am impatiently waiting for the sequel. 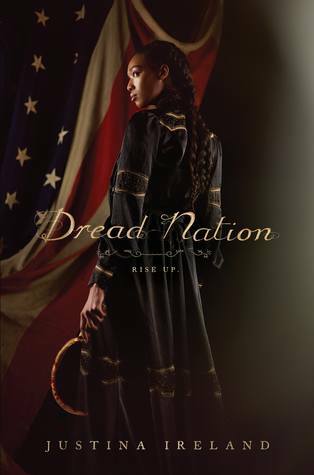 I just got Dread Nation on e-book sale this month and I am super stoked to read it. Every time I see The Wicked King ARCs on the TL, I grow so envious. Trying to be patient. Oh yay, I hope you enjoy Dread Nation! The Astonishing Color of After was fantastic – beautifully written, with fleshed out characters who are impossible not to love. 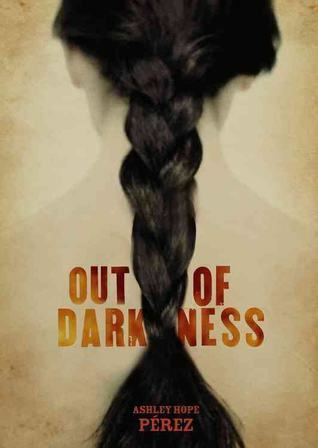 I want to read, but don’t yet own The Beautiful Ones, so I’ll probably read another book by the author first, Certain Dark Things. I’m glad you enjoyed The Cruel Prince – it is one of my favorites of this year. I loved both Certain Dark Things and The Beautiful Ones. They are very different books, but so good. I want to pick up both The Kiss Quotient and Eveyn Hugo. Everyone is raving about those. I love The Graveyard Book so much. Thank you!